With warm temps throughout the year, Austinites are all about soaking in the sun. Locals love taking advantage of the many surrounding nature trails, cooling off in watering holes like Barton Springs, dining al fresco, and of course enjoying live music on the many stages and festivals situated under the big Texas sky. Inner Space Cavern offers visitors a chance to see history. The karst caves were discovered in 1963 and have been open to the public since 1966. Although animals have been exploring the caves since the Ice Age, and scientists since 1963, the caves are actually far older. They are roughly 100 million years old. Along with traces of prehistoric animals, guests can view gorgeous geographical views for 1.2 miles. Independent exploration is prohibited, but visitors can join three different levels of tours. the first basic tour is extremely informative and meets tourists general areas of interest. For the adventurous visitors, the second the third level tours are more involved with guided spelunking. Guests will be welcomed to a nice 70 degree cave to escape from unbearable cold days as well as the miserable hot days. This state park offers a wide variety of outdoor adventures. For just six dollars, visitors can have free rein over the entire park. 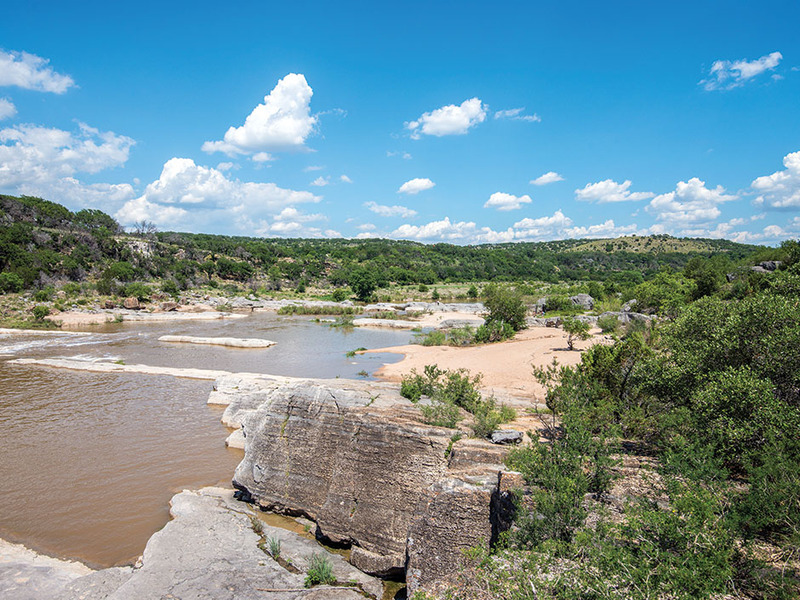 Located along the Pedernales River, the park has tons ofopportunities for water activities. While Pedernales Falls might be the highlight for most, the river itself is also gorgeous. Many visitors come to swim, tube, fish, canoe and kayak. Swimmers should be wary though since the water can range from peaceful to agitated within minutes. For the aqua-phobic, the park also offers lots of earthy experiences. You can hike, bike, ride horses or observe nearby wildlife at the bird blind and butterfly garden. There are a range of trails for hikers of all backgrounds. One thing is for certain though: if you are nature-adverse this spot is not for you. If you are coming for the day there are lots of picnic stops, and if you are coming for the night there are even more campsites. Israel Nash recommends staying the night and catching the stars! 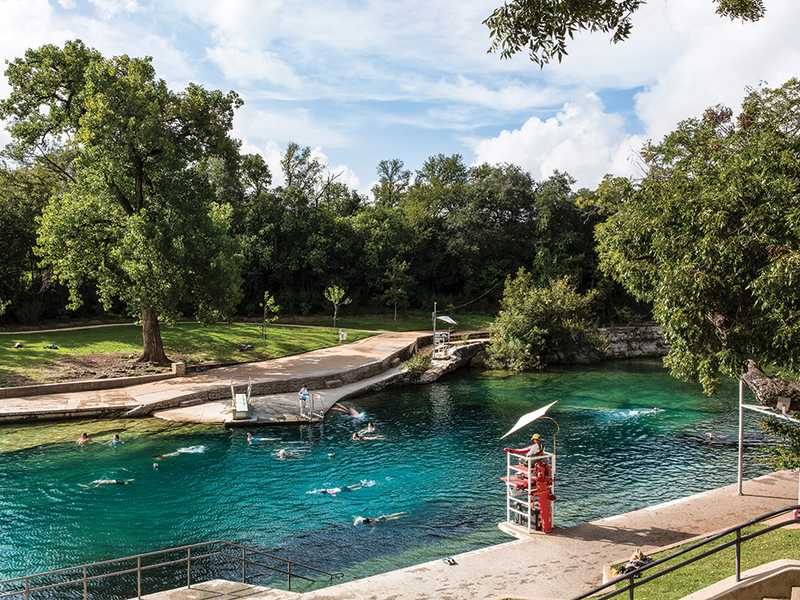 Barton Springs is home to four natural water springs on Barton Creek within Zilker Park. It is also home to local Barton Springs Salamander, an endangered species in the area. The nearly three acre area may be large, but it is certainly populated with people! Go early to catch the area when its most peaceful and to get free donuts and coffee! The springs are most well known for the Main spring known as Parthenia. At this spring, a pool has been naturally created complete with a diving board. Graceful divers and bold belly floppers alike can enjoy the attraction. The other three much smaller springs (Eliza/Concession Spring, Old Mill/Sunken Gardens/Zenobia, and Upper Barton Spring) are closed to public use, but are still a sight to behold. The springs stay 68 degrees year round so its best to visit during summer. If you are brave though, feel free to visit during the winter and join the Polar Bear Splash! If you want to relax and get outdoors, Mayfield Park is the place to go. It is a simple attraction with beautiful views. The large estate, which used to be owned by Mayfield-Gutsch family, is now home to a sprawling park. The grounds are filled with historic cottages, gardens, palm trees water lilies, trails, peacocks, titles and other wildlife. Mayfield Park is a hidden oasis within the otherwise crowded and hustling city. This is a great spot to walk your dog or go for your morning jog. The grounds are right next Lake Austin and Laguna Gloria, home to Austin Museum of Art.